SWE Boston set up one of 55 tables at Hamilton-Wenham Middle School's second STEM Discovery Night. Volunteers taught students and siblings how to create "Bristle Bots" and light-up greeting cards using basic circuits. SWE Boston needs volunteers for STEM Discovery Night! STEM Discovery Night will be an "expo" style event with many organizations represented at tables set up throughout the space. SWE Boston is in need of volunteers at our table to help ~500 middle/high school students learn more about engineering. 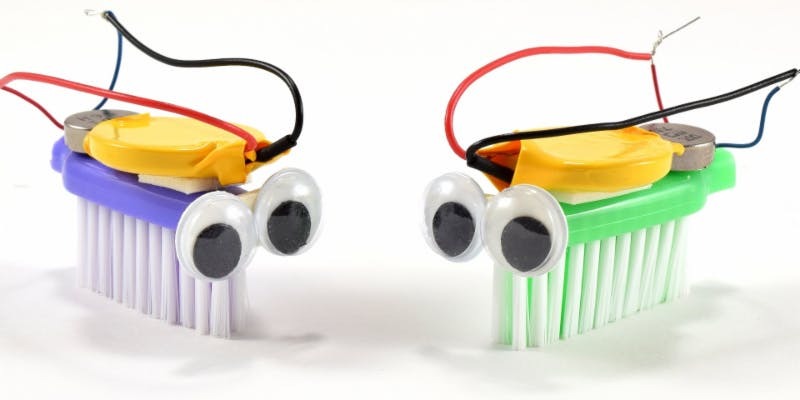 We will have 2 different activities available - "bristle bots" which are very simple robots made out of toothbrush heads, and light-up greeting cards made from copper tape, batteries and LEDs.